Indian and American flags wave. The U.S.-India relationship has tremendous potential; working together, the world’s two largest democracies can advance prosperity, security, and sustainable development for themselves and others around the world. This task force believes that the United States and India must continue to ramp up a growing strategic partnership. The two countries share a wide range of enduring long-term interests: economic prosperity for Indians and Americans; a future in which clean energy use becomes the norm; a secure, rules-based, and stable Indo-Pacific region; a world in which democracy flourishes; and a reciprocal goodwill between the people of both countries. But this future is not a foregone conclusion, and neither is an ever-closer U.S.-India partnership. Absent appropriate attention from each country’s leaders, U.S.-India ties might simply muddle through, never reaching their full potential. Fulfilling the possibilities of this relationship will require not only hard work and difficult choices by both countries, but also deepened faith in one another and the belief that, over the long run, a stronger India will mean a stronger United States, and vice versa. The United States and India are not only partners with increasingly shared strategic and economic interests, but also a shared commitment to government by “We the People”—the words that begin both constitutions. Democracy, strengths drawn from diversity, human rights, equality, the rule of law, and the peaceful resolution of disputes—these values are the core of the United States and India. Both countries are facing challenges to the strength of democratic institutions at home, including real and perceived challenges to a free press. In a world where challenges to these values abound, the United States and India are increasingly indispensable democratic partners in building a better world. In order to realize these goals, the United States and India must build on the strategic investments made by successive administrations in the long-term relationship, looking past short-term differences to invest in one another’s capabilities to be forces for peace, prosperity, and democracy in the world. Concrete cooperation in the following five areas could yield transformative results for the bilateral relationship in the decades to come. India and the United States must build an economic relationship that creates jobs and opportunities for the people of both nations. The United States and India must look not just at areas like high-tech, but also at infrastructure, to expand the benefits of investment and trade to all sectors of societies. The two nations cannot divorce the future of the bilateral economic relationship from what each country does at home. Both India and the United States must invest in the building blocks of their own economies and middle classes—including health care and education—and continue to innovate new domestic policy solutions if they are to benefit from the bilateral economic relationship. Make infrastructure a key shared area of focus by holding summits to educate institutional investors about the Indian infrastructure market, and hosting conferences and exchanges to share lessons about developing digital infrastructure. The United States should also continue to help Indian cities develop their municipal bond markets. Expand the United States-India Science & Technology Endowment Fund (USISTEF). Start a Future of Work dialogue to refine policy solutions that leverage the changing nature of work to create stable, well-paying jobs and empower citizens. Build out Blue Economies by developing web portals and co-hosting the Our Ocean conference. India should also sign and ratify the Port State Measures Agreement and the United States should support India’s implementation of it. Encourage federal governments and major cities and states in both countries to create offices of international affairs to facilitate subnational cooperation and share lessons learned. As two of the world’s three largest emitters of greenhouse gases, and with intense and growing energy needs, both countries must take concrete action to develop clean energy solutions that can boost economic growth and prevent the worst effects of climate change. The best way to achieve these dual goals is to invest in the infrastructure of a clean energy future, and start from the bottom up by cooperating on technical assistance, innovation, and capital investment in the building blocks of energy access, such as grid modernization, energy efficiency, and renewable technologies. Enhance cooperation on grid planning through regulatory cooperation and intergovernmental talks. Enhance energy efficiency by bringing together government and private sector experts to boost the capacity of India’s Energy Efficiency Services Limited and share lessons learned. Facilitate investments in clean energy by hosting annual investment forums that bring together institutional investors and clean energy sector representatives along with government experts and regulators. De-risk investments by developing risk-offsetting mechanisms and standardized power purchase agreements. Continue and expand the Partnership to Advance Clean Energy (PACE), which hosts dialogues and co-funds work in the areas of energy research, deployment, and access. Expand the Joint Clean Energy Research and Development Centers (JCERDC), which are four research centers with scientific and economic merit that conduct work related to clean energy innovation. The United States should remain party to the Paris Climate Agreement. Cooperate in the International Solar Alliance (ISA), which gives both countries the opportunity to jointly and profitably invest in the energy infrastructure of several other countries. The United States should become a full member of the ISA. Cooperate on climate modeling by continuing U.S. programs that give technical assistance to Indian agencies. In the coming decades, the United States and India will face difficult challenges to peace and stability in the Indo-Pacific region. To address these emerging threats, the United States and India must invest in greater coordinated capacity to contribute to security in the Indo-Pacific and beyond. This requires long-term commitments by both sides. The United States should build on the designation of India as a Major Defense Partner to craft a Strategic Advantage Initiative in which the United States adopts a presumption of support for defense cooperation with India and specific policies to make good on this support; and India must take steps to make that level of defense cooperation possible, while sharing the burden on security issues, such as maritime security in the Indian Ocean, humanitarian assistance, and disaster relief. As part of the Major Defense Partner designation, the United States should launch a government wide Strategic Advantage Initiative focused on developing New Delhi’s defense capabilities as a premier security contributor in the Indo-Pacific and to ensure India has the capabilities to prevail in contested domains. Create a U.S.-India Indo-Pacific Humanitarian Assistance Disaster Relief (HADR) cell to plan, train for, and undertake joint humanitarian assistance and disaster relief missions in the Indian Ocean region. Indian leaders need to make a strong public case for a more efficient, transparent, and effective defense procurement process. India should finalize, in consultation with the United States, a joint defense implementation agreement that facilitates information sharing, interoperability, and technology transfers within the two countries’ comfort zones. Start a U.S.-India track 1.5 dialogue on democracy and technology to discuss internet governance, the impact of social media on democracy, and the intersection of big data and privacy. Work closely together in the Community of Democracies by co-chairing the Working Group on Education for Democracy to produce training content and educational materials related to best practices in democracy. Work together to promote transparent government through the Open Government Partnership (OGP), which India should join. The backbone of the U.S.-India relationship, now and in the years to come, will be the ties between our peoples, who drive the opportunities in business, innovation, education and beyond. In particular, the United States and India should expand educational, cultural, and professional exchanges and cooperation. These exchanges will spark untold areas of bilateral cooperation in the future. The United States should facilitate market conditions that incentivize more cultural and educational exchange programs. The United States should transform the Passport to India program into a U.S.-India Strong Foundation to increase the number of Americans studying in India, and it should establish a J-1 visa category for India to increase the number of Indians coming to the United States. India should strengthen its higher education system to educate India’s next generation and emerge as a global education center, including by developing a community college system and easing regulations to enable more Americans and others to study in India. The strengthening of U.S.-India relations in recent years is a positive development for both countries and the world. But that progress cannot be taken for granted; it is not inevitable. The relationship between the United States and India is unique. The two countries are not military allies nor have they fought in wars together since India became independent. No major shared security crises have caused the two countries to forge a relationship out of strategic necessity. In fact, the two counties were at odds frequently throughout the Cold War, and continue to disagree on Pakistan policy. In decades past, it was more appropriate to talk of the United States and India as skeptical of one another, and sometimes even in direct opposition on major geopolitical issues. And yet, over the past two decades, the relationship between the United States and India has fundamentally changed from one marked by a mutual wariness to that of, in the words of former Indian Prime Minister Atal Bihari Vajpayee, “natural allies.”1 Through multiple administrations of different political parties in Delhi and Washington, D.C., a consensus has formed behind the belief that strong U.S.-India relations are an important priority not only for both countries, but also for global security and prosperity. But the vestiges of mutual skepticism remain, and new challenges to the relationship are emerging. Expectations on both sides often seem mismatched, with American policymakers expecting India to play a greater role in regional and world affairs, while Indian policymakers often see America pressing India to take actions not necessarily in India’s interests. While India sees the benefits of developing a deeper relationship with the United States, it bristles at the perception of following the United States’ lead. For U.S. policymakers, India is spoken of as an important partner but is rarely considered an urgent priority. And as globalization becomes more and more controversial, trade and economic policies in both countries could become more controversial in the relationship. Today, the administrations of U.S. President Donald Trump and Indian Prime Minister Narendra Modi appear to be pursuing a relationship that blends both caution and interest in a long-term commitment. During the first meeting between President Trump and Prime Minister Modi in 2017, the heavy focus on security indicated a continued commitment to a long-term defense relationship, but the way in which economic issues were addressed evidenced a more transactional relationship than in recent years. Much is riding on the nature of the relationship, because the U.S.-India partnership will be crucial for the interests of both countries in the 21st century. As geopolitical shifts—from the diffusion of power to the rise of China to climate change and beyond—continue to strain the ability of the international system to deal with challenges, it will only become more important to work closely with like-minded partners to advance shared interests. Similarly, the solutions to the challenges each nation faces at home can only be solved by harnessing international partnerships for national goals, and cooperation between the United States and India would help both countries tackle some of their most pressing domestic issues. Furthermore, the decisions that the two countries make are important for the world. The United States has the world’s largest GDP; India has the seventh-largest.2 In 2050, India is projected to be the most populous country in the world and the United States the fourth.3 The United States and India have two of the world’s strongest militaries.4 It is clear that the two countries’ actions will go a long way toward determining the contours of the global economy, regional stability in Asia, and the shape of global institutions in the 21st century and beyond. This report attempts to chart a course for the relationship in the coming years—not just with policy recommendations, but also by outlining how each country sees the other and being candid about the challenges in the relationship. As critical as the specific policy recommendations included below are, the ongoing honest conversation between the public and private sectors and citizens of these countries is the most important component of a strong, strategic partnership. In order to develop the way forward for U.S.-India relations, it is essential to understand how the countries view one another. The below perspectives are not necessarily views to be attributed to the task force members, but rather a description of perceptions about the relationship that the task force has unearthed in its internal discussions as well as in conversations with the political, policy, business, and nongovernmental organization (NGO) communities in Washington, D.C., and Delhi. Since the end of the Cold War and the beginning of India’s domestic economic reforms in the 1990s, India’s view of the United States has slowly evolved. Economic reforms enabled U.S.-India economic relations to grow, and after the United States accepted India’s nuclear weapons program, the security side of the relationship opened up. Overall, India wants a strong economic and security relationship with the United States to advance its own interests but remains cautious of aligning too closely with the United States. Below are some illustrative views of how Indian policymakers often view the United States. The United States can be a key partner in India’s economic transformation through greater investment and sharing of technology, but the magnitude of U.S. investment and economic deals often falls short of Indian expectations. S. actions on global issues such as climate change, nonproliferation, and terrorism will have a significant impact on India. The United States is an essential security player of long duration in the Persian Gulf and South and East Asia, thereby affecting Indian regional interests in a variety of ways. For the most part, the U.S. security posture in these regions plays a stabilizing role that helps India. However, India is highly skeptical of U.S. policy toward Pakistan, which does not treat Pakistan as the threat that India believes it is. At the same time, India does not like overly aggressive U.S. policies towards China and does not want to be pushed by the United States to side with the United States against China. While India may want a closer security partnership with the United States, doubts remain as to whether the United States will be a reliable partner for India when the chips are down. The United States often thinks that India is a free rider in the international system, but American officials fail to take into account how much India is doing to maintain peace and security in the Indo-Pacific, independent of any joint activities with the United States. This comprehensive set of Indian economic, diplomatic, and military actions is often undervalued. The United States could do more to advocate for Indian membership in key multilateral organizations, such as the United Nations Security Council or the Asia-Pacific Economic Cooperation (APEC) forum, and for updating international institutions to reflect the growing size of Indian influence. The United States too often expects India to take positions that are not in India’s interests or that it does not have the capacity to take, such as more vocally supporting human rights abroad. While U.S. officials often complain about the Indian bureaucracy, they too often fail to account for the difficulty in moving the American bureaucracy closer to India. The United States often extols the values of diversity, inclusivity, and human rights, but often fails to look at its own house and the strains of intolerance taking hold in America. Prime Minister Modi and the Indian government are looking to work with President Trump, primarily on economic and security cooperation. But some in India believe that the current U.S. administration’s policies are unpredictable and that “America-first” policies could potentially shut out Indian workers and harm Indian efforts to increase domestic manufacturing. Since at least 2000, the United States has increasingly viewed India as an important partner. In fits and starts since then, the United States has made strategic decisions to change policy to push forward the long-term U.S.-India partnership. These decisions include moving past India’s nuclear weapons program to forge a civilian nuclear agreement; supporting India’s permanent membership in a reformed United Nations Security Council; making commitments to boost Indian defense capabilities, such as identifying India as a Major Defense Partner; and starting regular high-level dialogues between governments. But more often than not, the United States talks a big game about its relationship with India, but then the relationship becomes caught up in obstacles and the slow pace of change in both countries. Understanding how the United States thinks about India is important to understanding why India is usually absent from America’s daily policymaking radar and how to overcome that challenge. As a democracy, India should be a natural partner for the United States and its rise should be good for the United States over time, whether or not it aligns with the United States on every issue. India is an increasingly important economic partner and market for the United States, but the potential of the economic relationship is constrained by India’s slow pace of economic liberalization and reluctance to abide by what the United States considers norms on issues such as intellectual property rights. India’s rise will increasingly have a major effect on the world and the United States, whether through India’s contribution to climate change; India’s security posture toward Pakistan and China; or the choices that India makes about its economy and its effect on global trade. For some U.S. policymakers, India does not rank as one of the most important countries in the world and is unlikely to become one soon. India is not crucial for any of America’s top foreign policy priorities, whether in regards to Iran, North Korea, China, Russia, terrorism, or other issues. India often pursues an independent path (sometimes still referred to in the United States as “non-aligned”) in international affairs and will not take on the level of responsibilities that the United States has traditionally expected with regard to global security issues or human rights.5 It wants the benefits of the international system without its constraints or obligations. India can help balance China’s rise in Asia in security terms as well as economic terms, by providing the countries of Asia another substantial economic partner to help them avoid economic dependence on China. The United States and India have different takes on what to do about Pakistan, and India sometimes does not recognize the need for the United States to work with Pakistan on terrorism, especially as long as the United States has troops in Afghanistan. India’s imposition of strict regulation against NGOs, as well as the actions of some far-right nationalists, make some American policymakers uncomfortable with a closer relationship. Despite sometimes divergent perceptions of the relationship, there is fundamental agreement on both sides on what drives U.S.-India ties. Both countries will play outsized roles in determining global issues—from climate change to the global economic system to regional security in Asia. The sheer economic size and potential of the United States and India are unavoidable realities that will affect both countries as well as provide key opportunities for much-needed job creation and economic growth. As the world’s two biggest democracies, the success and durability of U.S. and Indian democratic political systems in the face of pressure show the strength of the democratic system of government and underpin the relationship. For these reasons and others, the United States and India share strong interests in continuing to build a strategic relationship, and taking risks to do so. The United States and India, while at vastly different levels of development, face similar challenges. Both countries need to create new jobs; move people into the middle class and keep them there; provide better educational and health care opportunities; address infrastructure issues; and contend with the forces of globalization that pose challenges to sustainable domestic growth while also providing opportunities. But both countries have significant work to do, at home and between them to accelerate the bilateral economic partnership. In the United States, the middle class is being squeezed, and opportunities for working families and the poor to ascend to the middle class are narrower than ever. Meanwhile, India faces some different challenges, the magnitude of which are staggering. For example, according to the Asian Development Bank, as of 2011, 21.9 percent of India’s population lived below the national poverty level;10 a 2015 International Energy Agency report notes that 240 million people in India were still without access to electricity.11 The types of jobs India needs to create are often different, and the investments in growth and social safety nets it needs are also different from the United States. As rapidly as India is changing, the sheer size of the obstacles will mean that progress in addressing certain trade, economic, and regulatory issues will be slow. Building a smart U.S.-India economic partnership can help each country improve the condition of ordinary working families. While the private sectors will drive the economic relationship, governments can put in place policies and tools that support the ability of their middle and working classes to succeed. Under the right circumstances, expanding trade can be a powerful engine of economic growth, job creation, and poverty reduction. Yet without sufficient attention to the fate of ordinary workers and the poor, powerful market forces can leave vulnerable people grappling with sometimes devastating economic change. As democracies, the United States and India share common interests in ensuring that families enjoy the benefits of higher wages, better working conditions, and a healthier environment, and both should stand together as standard bearers of progressive action in these areas. We recommend that the governments and private sector keep in mind the following principles to help foster an economic relationship that maximizes benefits for both countries over the long-term, and pursue them in the concrete ways outlined below. Without jobs that benefit all segments of society, neither country will be able to support sustainable growth, and the backlash against trade will grow, harming economic opportunities and the openness of our two societies. Finding ways to facilitate two-way, socially responsible business investment can help both economies grow and create jobs. In the United States, municipal bonds traditionally finance much infrastructure investment, but the municipal bond market is not well established in India. Through the U.S.-India Economic and Financial Partnership, the U.S. Department of the Treasury’s Office of Technical Assistance has been assisting the Pune Municipal Corporation to prepare for the issuance of its own pilot municipal bond.21 The U.S. Department of the Treasury should use this program as a model and expand it to advise other cities that India has designated as Smart Cities with capacity-building technical assistance so that they can issue municipal bonds to finance their own infrastructure projects. Large institutional investors, such as U.S. public pension funds, have been increasingly focused on investing in global infrastructure since they need a diversity of quality investment options to help them meet the retirement security needs of their beneficiaries, who include public school teachers, firefighters, and police officers. Some of the largest investment managers in the world have been actively raising infrastructure funds to meet investor needs.22 Yet many of them, as well as smaller investment managers, face significant informational and other gaps in their ability to effectively deploy those investments in India. An institutional investor summit focused on opportunities in the United States and India that could help enable private sector actors in both countries to better identify quality investment opportunities. The two countries must also focus on building digital infrastructure. Increasing access to the right kinds of digital technologies can help boost economic growth by helping people find jobs, increasing education, and gaining access as consumers. Working together through conferences and exchanges, bringing together the expertise and experience available in the private sectors in both countries to share lessons learned can help advance these efforts in both countries. Improvements in these domestic sectors are vital to growth and will be just as important as the number of dollars invested. It is crucial to note that the prospects for job creation and economic opportunities for people of both countries will hinge overwhelmingly on the policies that each country pursues on its own in areas like education and health care. While each country has much work to do to improve its domestic policies on these fronts, cooperation between the United States and India can yield real benefits for both sides. Collaboration between businesses and researchers—such as that which helped produce the Green Revolution—and lessons learned from one another can play a key role in improving domestic efforts. Elsewhere in this report we identify certain areas—such as clean energy and education—on which the two countries can work together. India and the United States have some of the most talented and innovative companies and research capabilities in the world, and need to work together to direct those resources at tackling shared challenges, such as the growing role of automation and its impact on the future of work. The United States and India both have tremendous human capital and research and development (R&D) capabilities. In the United States, more than 3 million people are employed in engineering, architectural, and science (including social science) professions.23 In India, 2.6 million people graduated in 2016 with a science, technology, engineering, or math (STEM) degree.24 In 2014, the United States spent the most money in the world on R&D, and India spent the sixth-most.25 Harnessing this work, the U.S. Department of State and the Indian Department of Science and Technology created USISTEF to fund research conducted by U.S.-Indian teams focused on supporting healthy individuals or empowering citizens through technology, with an emphasis on the marketability of the research outcomes. Both governments should continue to support this program, retain its commitment to public-interest oriented challenges, and consider expanding its funding by building private sector partnerships. In this regard the longstanding scientific partnership between the U.S. National Academies of Science and India’s National Institute of Advanced Studies offers a model of cooperation and could be expanded. Technology is evolving more rapidly than ever, and the nature of work is in the crosshairs; many jobs, not only those that are low-skill, are at risk of being replaced by automation and artificial intelligence.26 The World Bank believes that 69 percent of jobs in India are threatened by automation,27 and PricewaterhouseCoopers estimates that 38 percent of jobs in the United States are at high risk of automation by the early 2030s.28 Should automation arrive at the scale at which experts predict, this will be challenging for both countries, and will have effects on job creation, economic growth, education, and more. In both the United States and India, traditional forms of employment are also being disrupted by the arrival of technology-enhanced freelance and so-called gig economy work structures. To address these issues, the two countries should begin a track 2 dialogue with policymakers, entrepreneurs, technology experts, and community leaders. Drawing on the tremendous talent in the private sector in both countries, this dialogue should address employment trends and community needs in order to refine policy solutions that leverage the changing nature of work to create stable, well-paying jobs and empower citizens. This dialogue could have cross-cutting applications to issues covered elsewhere in this report, from job creation to education to energy and beyond. The United States and India both have extensive, economically robust coastlines: 42.1 percent of the U.S. population lives in a coastal county,29 and 44 percent of the Indian population lives in a coastal state, island, or union territory.30 U.S. coastal counties generate 48 percent of the country’s GDP.31 India, for its part, is encouraging investment in its maritime sector through its India Maritime Plus initiative.32 Sharing lessons learned can contribute to environmentally friendly ideas for economic growth spurred by coastal communities. The U.S. National Oceanic and Atmospheric Administration (NOAA), Indian National Centre for Ocean Information Services, and the Indian Ministry of Commerce and Industry should collaborate to develop Blue Economy web portals to systematically capture and publicize demographic and economic data on the coastal and ocean-driven industries in each country. Economists, oceanographers, and data scientists from each country could collaborate to share best practices in economic monitoring and data science, and consult with India’s extensive data management industry to serve as a resource for capacity-building in both countries. These Blue Economy data portals would benefit U.S. and Indian coastal communities by disseminating information and case studies related to sustainable economic development ideas. They could also elevate the voices in marine resource management policy of key coastal and ocean stakeholder groups such as those in fishing, shipping, recreation and tourism, offshore renewable energy, and ecosystem conservation. The United States and India should consider co-hosting an upcoming round of the annual Our Ocean global conference of foreign ministers and heads of state, emphasizing innovations in the Sustainable Blue Economy as the overarching theme. This convening, which is part of an ongoing series, could help maximize the exchange of new policy ideas, technological advancements, and lessons learned from coastal countries around the world. The United States and India could deepen collaboration to ensure global marine fish stocks and other living marine resources—pillars of a Blue Economy—are sustained for generations to come. India should sign and ratify the Port State Measures Agreement as part of a commitment to cracking down on illegal, unregulated, and unreported (IUU) fishing in its waters or in the supply chain of its seafood imports, thereby enhancing ocean health and the plentitude of fish available for honest, legal seafood producers. To support India’s accession to the treaty, the U.S. Agency for International Development (USAID) and NOAA should provide monetary aid and technical support to help India’s relevant fisheries and law enforcement agencies implement and enforce the Port State Measures Agreement. The future of many of these issues—including economic growth, job creation, and education—will depend on how effectively cities in both countries can adapt to the needs of rapidly growing populations. Individual states in both nations have GDPs greater than those of some countries; California alone has a higher GDP than India,33 and roughly 11 Indian states have GDPs greater than $100 billion.34 Other states in both countries have dramatically fewer resources. Initiatives that empower citizens and create jobs cannot come solely from the federal level; in these geographically vast and economically diverse countries, states and cities will be key actors as they craft solutions that meet their regions’ unique needs. In addition to all of the capacity-building programs between subnational entities recommended elsewhere here, it is important for both countries to build the structures that facilitate subnational cooperation. On certain issues, groups of localities are creating their own networks—such as the U.S. Climate Alliance, comprised of U.S. states committed to reducing greenhouse gas emissions—to advance important policy agendas. India and the United States can learn from these efforts and take advantage of them. India’s Ministry of External Affairs already has an office focused on subnational cooperation, and the United States should follow suit by re-establishing such an office, like the former U.S. State Department Office of the Special Representative for Global Intergovernmental Affairs.35 Therefore, both countries should create and strengthen offices focused on subnational cooperation in the foreign ministries, and states and large cities should also create their own international affairs offices. These offices can help connect localities to one another and enable cities and states to benefit from the tremendous local knowledge that the foreign ministries have. While the State Department and Ministry of External Affairs both host forums and conferences aimed at subnational entities, these new offices—combined with similar offices in cities, like those that exist in New York and Los Angeles—would enable both sides to leverage expertise and develop lessons learned and capacity-building practices, such as how best to structure and use these offices, to share with the right counterparts. The United States should continue and expand its support for India’s Smart Cities initiatives, where the United States has agreed to partner with three Indian cities—Ajmer, Allahabad, Visakhapatnam—to support the growth of urban infrastructure. In addition to its focus on infrastructure, renewable energy, and other existing areas, this program should include the sharing of best practices on procurement, digital infrastructure (such as appointing and training chief technology officers and fostering transparency in government), and institution-building in municipal governments and civil society. In the coming years, both countries will need to keep in mind how economic decisions affect the strength of democracy in each country. The United States and India, in their domestic economic policies and trade policies, will need to ensure that the benefits of trade flow to all sectors, especially workers. A high priority should be placed on developing policies that support strong labor and employment laws and safeguard the environment. Both countries will need to address thorny issues in domestic and trade policies that bolster the rule of law and a predictable and fair approach to business. Protecting judicial and media independence, enhancing government transparency and accountability, and countering corruption are critical. Strong and transparent financial regulation is essential. Legitimate intellectual property rights (IPR) interests must be protected if India hopes to create a true innovation ecosystem and attract greater technology transfer and investment; yet IPR interests overall should be balanced and in line with international norms, and not used to artificially drive up prices or deny access to essential items. The above are but a handful of the difficult domestic issues faced by both countries that will impact the bilateral economic relationship. At its core, economic policy decisions in both countries must be directed to benefit the entire populations, and that requires maintaining the strength of democratic institutions and the rule of law as much as it requires investing capital and buying goods and services from one another. The policies that the United States and India pursue on energy in the coming decades will go a long way to determine the future of economic growth in each country, as well as the global trajectory of climate change. India and the United States both need access to secure and sustainable sources of energy to fuel economic growth. In India, in particular, this is a huge challenge; 21 percent of the Indian population does not have access to electricity, and an even larger share has no access to clean cooking fuels.36 But energy consumption in both countries is rising: In India consumption is growing at 4.2 percent annually, the fastest among major economies in the world;37 in the United States it is growing at 1 percent annually.38 Economic growth in both countries will, in part, be contingent on increasing energy demand (and greater economic growth will fuel more energy demands), which in turn will shape global energy markets over the coming decades. Action by India and the United States is also necessary to mitigate climate change. The United States is the world’s second-largest carbon emitter, and the largest historical emitter, while India is the world’s fourth-largest emitter.39 The decisions made on energy policy in the United States and India will go a long way to determining whether the world is able to prevent the worst effects of climate change. In order to achieve the dual goals of growth and curbing emissions, the two countries must invest in the building blocks of affordable, accessible energy for all. With both countries’ systems currently relying on multiple forms of energy—oil, gas, coal, nuclear, renewables—that also means recognizing that both countries require all types of energy now and in the near future. The civilian nuclear agreement between the United States and India was a major milestone, not just for the potential impact on energy cooperation but also because of the strategic significance to the U.S.-India relationship. Finding a way to follow through and show results from the deal that was so hard-fought in both countries will be important to make clear that, when the United States and India take risks to advance the relationship, those risks will eventually pay off. From the global governance viewpoint, the tangible outcomes have included India’s harmonization of its domestic laws with the standards of the four major nonproliferation regimes, and its application to enter them including its successful entry into the Missile Technology Control Regime (MTCR) and the Wassenaar Arrangement. Realizing the full energy and commercial benefits of the deal is important, as is making past gains permanent by consolidating support for India’s entry into the Nuclear Suppliers Group. To move forward, the United States and India together should focus on the following areas. In both countries, there is ample room to improve energy efficiency and reduce pollution and waste. In India in 2014, for instance, 19.4 percent of electricity produced was lost.44 Building the capacity for India to extend access to electricity is a gateway issue. Without the building blocks of energy access, India will not be able to grow economically or take advantage of cleaner energy technologies. The U.S. Department of Energy and India’s Ministry of New and Renewable Energy should collaborate on improving grid planning and efficiency, integrating large-scale renewables into the electricity system, and promoting energy efficiency in buildings, appliances, and transport sectors by hosting technical exchanges and capacity-building trainings. As energy needs expand, both countries need to modernize power grids and make them more efficient and flexible to manage the integration of new energy sources. The United States should expand regulatory cooperation with Indian state governments to review trends in grid modernization, and the two governments need to bring the private sectors in both countries into those conversations. And as the United States and India expand cyber security cooperation, they should ensure that such talks include all forms of critical infrastructure including power grids. From light bulbs to fans to air conditioning units, there is tremendous potential to enhance energy efficiency across a wide spectrum of everyday devices that draw large amounts of energy across the two countries. In India, the Energy Efficiency Services Limited (EESL)—a government-supported entity aimed at building capacity in Indian states—is working to improve energy efficiency across a wide variety of economic sectors. The United States and India should gather relevant government and private sector experts to boost the capacity of the EESL and to learn lessons that could be applied in both countries. The United States and India need to help one another create vehicles for investments in clean energy in both countries. The two countries could be at the forefront of building a global supply chain in the development and production of clean energy technologies, creating opportunities for jobs and investment. For India, investments in the energy sector are critical to drive its overall development ambitions, whether increasing rural productivity, building its manufacturing, or developing smarter cities. While India offers a very large market for energy investments—it is one of the world’s fastest growing energy sectors that works on competitive market principles—the United States has a very large pool of investable capital. Bridging the two, especially if the cost of finance could be lowered for Indian energy infrastructure projects, makes commercial and environmental sense. There are many valuable existing programs, a number of which are outlined below, furthering clean energy cooperation that are coordinated by the U.S. government, and it will be important for the U.S. Congress to ensure that they continue to receive funding. The United States and India cannot build green energy capacity without capital. Both countries are promising markets for renewable energy: According to one estimate, India is the second-most attractive market for the industry while the United States is the third.45 The industry also offers tremendous job creation potential; meeting India’s solar and wind energy commitments over the next five years will require more than 330,000 workers,46 and renewable energy jobs in the United States have grown by a compound annual growth rate of 6 percent since 2012.47 Because of the enormous economic potential and necessity for green energy, the U.S. and Indian governments should cooperate to expand and facilitate investments in their respective clean energy sectors by hosting annual clean energy investment forums, bringing together institutional investors and clean energy sector representatives along with government experts and regulators. Financial regulators in India and the United States should also conduct regular dialogues to develop common protocols and standards to boost the green bonds market in both countries. While renewable energy is a promising industry in both countries, it comes with more than its fair share of risk. For instance, many of the traditional off-takers of energy investment in India are not financially sound, which deters potential investors.48 In 2016, the U.S.-India Energy Cooperation program decided to tackle this issue by creating the U.S.-India Clean Energy Hub, the goal of which was to bring together U.S. government and Indian financial institutions. However, progress on this project appears to have stalled. The United States and India should reaffirm their commitment to this effort and use it to develop risk-offsetting mechanisms and standardized power purchase agreements that would make investment in India’s clean energy sector more transparent and less risky. The U.S. Department of Energy should also host a conference for U.S. and Indian green banks to discuss potential cross-border funding opportunities. Green banks can help with credit enhancement, due diligence, aggregation of many small projects into larger portfolios, and the facilitation of hedging instruments against various risks. The U.S.-India Clean Energy Finance Task Force had started work in some of these areas and must continue to pursue them. In 2009, the United States and India started PACE to “accelerate inclusive, low carbon growth by supporting research and deployment of clean energy technologies.”49 Since then, the United States and India have engaged in an annual bilateral government dialogue on energy and co-funded work in the areas of energy research, deployment, and access. Through this program, the two governments have mobilized billions of dollars for clean energy development, created new financing mechanisms, and developed capacity-building initiatives. Both governments should affirm their commitment to this highly successful bilateral energy partnership and continue to expand its funding and scope, including the various components of the program such as PACE-D (deployment) and PACE-R (research). As part of the PACE program, the United States and India created the JCERDC, which was “designed to promote clean energy innovation by teams of scientists and engineers from India and the United States.”50 The JCERDC program currently funds four research centers, co-funded by the research consortia via private sector participants, with one each focusing on solar energy, second generation biofuels, energy efficiency of buildings, and smart grids and energy storage. The JCERDC have both scientific and economic merit: adopting the low-cost approach of joint development and procurement of new technologies can drive costs down and increase the scale of deployment. The JCERDC should expand their good work and research on grid and energy storage, taking advantage of India’s large, diverse energy marketplace to test, develop, adapt, and commercialize new technologies. It should also add another priority area to the program: energy efficient appliances. As two of the world’s largest carbon emitters, the United States and India must continue to work together in international fora to advance global climate change efforts. The reality of climate change necessitates global leadership on the issue from the world’s largest economy. While many U.S. cities and states are making commitments to abide by the Paris terms, the U.S. federal government should once again lead in global efforts to work with others to tackle climate change. The ISA was announced by Prime Minister Modi and French President Francois Hollande in 2015 to aggregate demand, lower costs of finance, and pool resources for R&D. ISA provides an easy platform for U.S.-India collaboration on clean energy, with extensive roles for private-sector developers, manufacturers, and investors.51 When it was launched, the United States affirmed its support for the ISA by starting the U.S.-India Catalytic Solar Finance Program, which would raise $40 million in capital for solar projects. The United States should consider signing the ISA Framework Agreement and become a full member of the ISA. This would give an opportunity to both countries to jointly and profitably invest in the energy infrastructure of several other countries. The United States should also continue to support the work that the ISA does by pledging money to ISA projects and initiatives. Climate change is already hurting both countries through extreme weather events as well as long-term changes in precipitation patterns, higher average temperatures, and sea level rise. The two countries have begun cooperative projects to help adapt to climate change and mitigate the damage, and these efforts must be strengthened. As the number of extreme weather events increases,52 communities in India and the United States need to prepare for the potentially devastating effects. Since 1995, the United States has experienced the most natural disasters of any country, and India the third-most.53 The United States has launched a number of international programs to help countries improve climate forecasting and build resilience to the effects of climate change. For example, in 2015, the United States announced it would provide higher-resolution elevation data and technical training to India so it could create better localized climate models.54 The U.S. National Oceanic and Atmospheric Administration (NOAA) and the Indian Institute of Tropical Meteorology (IITM) also planned to use these downscaling tools to improve seasonal weather forecasting.55 The United States and India should continue to pursue this joint agenda, which could save lives and money by planning better for extreme weather events. But as far as the bilateral security relationship has come in recent years, progress is still hobbled by divergent bureaucratic imperatives and processes in both capitals, and the low priority accorded each other, as urgent matters take precedence over important ones. The United States still has competing global priorities, such as Russia and North Korea, while India will not conceivably enter a formal alliance with Washington—and Washington, in all likelihood, does not want one. At the same time, the United States will want to see tangible returns on its investment in India’s capabilities and success, and India will want continued assurances that U.S. support will be neither fickle nor overbearing. As leaders continue to shape a vision for the U.S.-India security partnership, the two countries should find ways to operationalize that partnership around the world. India and the United States should develop a security relationship as partners that work closely on key regional security issues and invest in one another’s success over the long run. Both sides have important things to offer the other. Because of the different degrees of technological capacity in the two countries, the United States can greatly assist India’s capacity-building efforts for the coming decades. India is a potent regional military power that is increasingly willing to share the responsibility of preserving a rules-based international order. Rather than adding a financial or security burden on the United States, India’s role can enhance regional security, evidenced by increased patrols in the Indian Ocean, assistance in South Asia, and humanitarian assistance activities. Whether dealing with terrorism, stability in Afghanistan, deterring Chinese infringement of codes of international law and behavior, or beyond, the United States and India share long-term security interests in Asia, and will benefit when each can do more. For the long-term defense partnership to yield real results, India, too, will need to take key steps. The U.S. Commerce Department eased the process for India to acquire export control licenses, establishing early in 2017 new regulations that set out a “licensing policy of general approval for exports” of a wide variety of items.59 But India’s own procurement process and military industrial base inhibit the absorption of defense technologies from the United States. The U.S. and Indian processes and business practices for buying and selling defense equipment are not well aligned, which makes it difficult for American companies to compete in India’s defense market. As part of the Major Defense Partner designation, the United States should develop a government-wide Strategic Advantage Initiative focused on developing New Delhi’s defense capabilities as a premier security contributor in the Indo-Pacific and to ensure India has the capabilities to prevail in contested domains. This program, which should be developed in close consultation with Indian leaders, would implement the 2016 U.S. designation of India as a Major Defense Partner in practice, and ensure that all U.S. government agencies are taking appropriate steps to enhance defense cooperation with India.60 The U.S. Congress could also be an important player in formalizing the understandings reached in U.S. law, so the understandings become ingrained in U.S. policy and subsequent administrations are bound by the commitments. Further refining export license regulations to align with the goal of “facilitating technology sharing with India to a level commensurate with that of its closest allies and partners,” as outlined in the original announcement of Major Defense Partner status.61 This will also require the U.S. executive branch to work closely with stakeholders—including Congress, the U.S. defense industry, and relevant Indian stakeholders—to ensure that the export control process is transparent, efficient, and addresses relevant concerns. In the near term, prioritizing the export of platforms that boost India’s maritime security capabilities, including—but not limited to—unmanned aerial vehicles (UAVs), maritime rotary aircraft, and maritime patrol aircraft. Creating bilateral U.S.-India action plans that jointly identify the specific capabilities necessary for regional security contingencies and threats, and moving forward to provide those capabilities to India. The two countries should use the new defense partnership agreements and capabilities to plan and jointly train for coordinated response to natural disasters in the Indian Ocean region. India has proven itself highly skilled at humanitarian response operations, not just in India but also in Yemen, Bangladesh, Nepal, Sri Lanka, Myanmar, and the Maldives, and as far away as Libya and Fiji. The goal should be for India to be able to work closely with the United States and others to respond in real time to humanitarian disasters in the Indian Ocean region and beyond. An improved procurement process would provide a level playing field and create a conducive environment for India to eventually become self-reliant in defense. U.S. firms will be among the beneficiaries of a better defense acquisitions process, and the integration of supply chains and development of joint R&D in defense will create jobs and lower costs in both countries. Among other measures, India may have to broaden its offset policy and amend its Defense Procurement Procedure (DPP) accordingly. India should also reconsider whether its lowest cost approach to defense acquisition is in its national interest, as often the best valued and most capable systems are not the lowest cost ones. This could include proposed and pending agreements such as the Communications Compatibility and Security Agreement (COMCASA), Basic Exchange and Cooperation Agreement (BECA) for Geospatial Intelligence, and Industrial Security Annex, as well as compliance with International Traffic in Arms Regulations (ITAR). A defense implementation agreement would potentially enable India to access a wide variety of benefits, including advanced technology, access to certain kinds of U.S. intelligence, and secure communications links with U.S. counterparts. The U.S.-India partnership represents two countries that have long been steeped in the shared values of tolerance and the rule of law. The end of the Cold War began to break down perceived ideological barriers to closer cooperation between the world’s two largest democracies. While the United States and India share a growing array of interests on issues such as security and economics, at the end of the day, the grounding in shared values creates a special understanding and sense of global responsibility in both countries. Making open government and support for democratic institutions a key ingredient of future India-U.S. bilateral ties is especially relevant as both countries face growing internal debates about free speech, the role of civil society, and the effect of technology on democratic norms. These challenges are not unique to the United States and India. Sharing values and facing similar challenges further enables the two countries to work together to share lessons learned from their respective democratic experiences with the goal of strengthening their own systems. This also requires being honest about concerns over the potential erosion of certain democratic norms in both countries when they occur. Without open, democratic societies, the U.S.-India relationship becomes just another brittle, transactional partnership, and could jeopardize popular support for the partnership in both countries. The two countries must also look more closely at ways they can work together to support democracy and open government around the world. India prides itself on being a repository for knowledge on strengthening open government and democratic institutions, but does not take a vocal, proactive role pushing for other countries to respect human rights and democratic practices. While the Trump administration has not prioritized support for democracy abroad in its foreign policy to date, support for democracy and human rights has long been—and should continue to be—a central part of American citizens’ values and U.S. foreign policy. The vibrancy of democracy in these two countries will remain important to making the case for democracy, human rights, and freedom of speech around the world. As large and messy democracies, India and the United States share many of the same challenges, and so there is value in sharing lessons with one another. Issues that are particularly ripe for bilateral discussion and collaboration include: the use of big data to improve open government; the implication of social media usage for open government; and ways to deepen citizen participation in governance. The rapid growth of technology is transforming how citizens engage with their governments and with one another. The rise of the internet and social media mean that data is available at the tip of one’s fingers, and social media can amplify grassroots voices and connect citizens to their government. Likewise, the availability of massive amounts of data on government operations and citizens alike is being put to use by making government more transparent and improving the lives of people by delivering better services. At the same time, there is a significant danger to democracy posed by this technology explosion: Russian interference in the 2016 U.S. election using social media platforms and tensions in both countries over regulating free speech online illustrate real challenges to open societies; and the privacy concerns raised by uses of big data highlight the potential for technology to be used in ways harmful to democracy. These growing challenges to the nature of open, democratic countries like the United States and India are going to require principled, creative solutions. The governments of India and the United States should start a regular track 1.5 dialogue among government officials, social media organizations, and open governance organizations to share ideas and chart paths forward on three key areas: internet governance; the effect of social media on democracy; and the intersection of big data and privacy. The United States and India should work together in the Community of Democracies—an international organization that provides a forum to support transitioning democracies in building democratic institutions—of which both are members. Cooperating in the Community of Democracies would enable the United States and India to use their respective experiences to help other democracies seeking support. In particular, the United States and India should consider co-chairing the Working Group on Education for Democracy in the Community of Democracies, which focuses on sharing best practices and lessons through the production of training content and educational materials.62 The Community of Democracies also includes engagements between civil society organizations, educational institutions, and governments, which is a good opportunity for the United States and India to promote the importance of civil society and the positive role that it plays in strengthening democracy. The OGP is an international effort to promote transparency in government, where countries come together to learn from one another. The United States helped start the OGP, and both Indian and American civil society have played a key role in supporting it. While to date the Indian government has been wary of joining, the OGP is a natural venue for India to showcase for the world its expertise and experience in building democratic institutions. India joining the OGP would also open more avenues for the U.S. and Indian governments to work together in sharing their knowledge in building democratic institutions. The backbone of any relationship is the ties between peoples, and the bonds between Indians and Americans run deep. Families, businesses, civil society organizations, and others are the primary driver of this relationship, and will continue to be. It is in both countries’ best interests for the future stewards of the relationship to have deep cultural and first-hand knowledge of the other country. The focus should not only be on quantity of people going back and forth, but also on quality and impact. These sorts of exchanges can have ripple effects far beyond the individuals who participate. While structural policies and market forces will largely determine the number of exchange program participants, there are concrete steps that both governments can take to try to boost the number of exchanges. The U.S. State Department can take a number of steps to incentivize the market to increase the number of exchange programs bringing Indians to the United States and sending Americans to India. The Passport to India program—a U.S. program aimed at encouraging U.S. students to study at Indian universities and work at Indian companies—was a great idea that has not had the desired impact to date. The lack of significant resources from the United States and an unwillingness on the Indian side to take steps to facilitate more Americans going to India has hampered the program’s progress. The United States should turn this program into a public-private partnership akin to the U.S.-China Strong Foundation, which began as the U.S.-sponsored 100,000 Strong initiative and was established to boost exchanges between the United States and China. This would require not only more resources from the United States government, but would also necessitate support from the U.S. and Indian private sectors and the Indian government. Major companies in both countries have an interest in building the next generation of Americans with knowledge of and interest in India, and should provide tangible financial and material support to create the new U.S.-India Strong Foundation. The Indian government and Indian companies would also need to work to help Americans get visas, jobs, and housing. The United States should negotiate a Memorandum of Understanding (MOU) with India to establish a J-1 visa category for exchanges with India, similar to ones it has set up with Ireland, South Korea, and Mexico. Visas issued under this category would not count against caps for popular short-term work and professional exchange programs like Intern, Trainee, Au Pair, Research Scholar, Teacher, and Summer Work Travel. J-1 visas that enable study at U.S. universities and high schools should also be included in this MOU and a fund set up by the Indian government should be created to provide partial scholarships for tuition and travel expenses. Because the Indian market for these J-1 cultural exchanges is so limited and would require significant startup costs for J-1 visa sponsors to enter, the United States and Indian governments should incentivize J-1 visa sponsors to develop and engage the Indian market by offering fee waivers. India has the potential to become an education destination and valued partner in cross-boundary research, but would need to reform its educational institutions to do so. Steps to take could include the following two areas. The two countries should continue and expand bilateral dialogues focused on the benefits of the community college model. India’s public system of Indian Institutes of Technology (IITs) and universities are struggling with the number of Indians that need access to higher education. Community colleges in the United States provide a significant amount of higher education to the American people, and could be a useful model for India as it looks to fill the massive capacity gap in higher education that it faces in the coming years. Eventually, these dialogues could result in practical partnerships to help build India’s capacity to grow its higher education systems in the right ways. The United States should continue to fund and expand its Community College Administrator Program, which consists of one week of dialogue and five weeks of training for higher education administrators from India. One change that India could make is to ease foreign investment and visa restrictions so that American universities could establish joint research centers on Indian university campuses and American academic faculty could move more freely to India. The two countries should also work to harmonize their education systems to make sure that students receive credits when studying in the other country. While this is a complicated set of issues that only India can address, one of the main vehicles for boosting U.S.-India cooperation on higher education is to make the Indian higher education system more open and appealing to U.S. students and institutions. Indians and Indian Americans have made invaluable contributions to America and the American economy, and with the ties between families and peoples of the two countries running so deep, an open, transparent, and fair immigration system is not only a necessity for the American economy, but also for the strength of the U.S.-India partnership. The United States and India have come a long way from their origins as individual states coming together to forge pluralistic, democratic nations. This progress often has been uneven and difficult, but today both countries serve as examples of what nations can achieve when they embrace democracy, tolerance, inclusiveness, the rule of law and an appreciation for the dignity of all people. 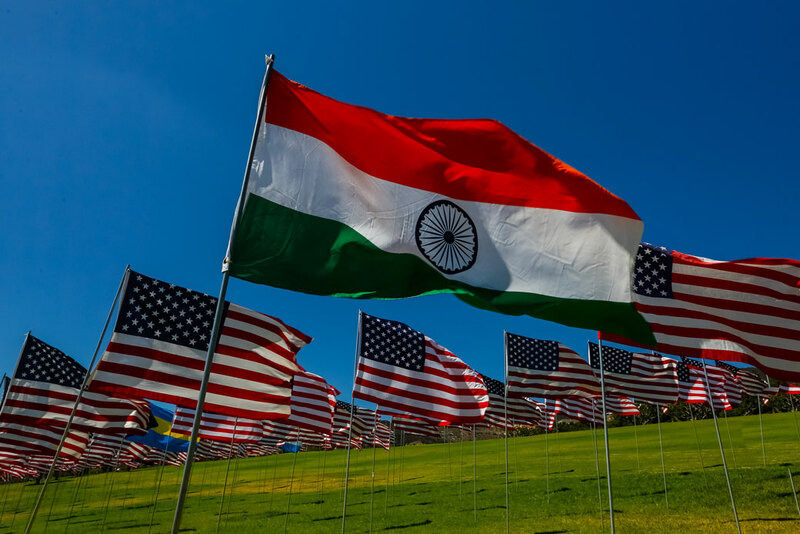 Likewise, the relationship between the United States and India, while often bumpy, has proven durable in recent years, and is only getting stronger. And yet, continuing to build this relationship will require significant investment for years to come. It will require sometimes looking beyond the urgent and focusing on the important. If this bilateral relationship continues to grow in the right ways, the people of both countries will benefit. And together, the United States and India could be partners in building a more prosperous, secure, and free world. The views expressed here represent the collective opinions of the task force. The task force members participated in their individual capacities, and support the overall consensus of the task force report, though not necessarily every recommendation. The task force was conducted between the beginning of 2017 and the beginning of 2018. The task force members met in-person twice—once in Delhi and once in Washington, D.C.—and held numerous conference calls. Throughout the process, the task force and its members met with a wide variety of experts and constituencies in both countries to help inform the report, from the business community to the legislative and executive branches to NGOs. The task force would like to extend a special thanks to Ashok Malik, who participated in the task force as a distinguished fellow at the Observer Research Foundation until he was appointed to press secretary to the president of India. The task force would like to thank Stefanie Merchant and Abby Bard for their tremendous help. First Stefanie, and then Abby, did everything from researching to writing to organizing meetings and travel. Without them, this project would not have been possible. The task force would also like to thank Meredith Leal and Carolyn Kenney for their assistance throughout this process, Andy Green and Shiva Polefka for their contributions, and the rest of the team at the Center for American Progress who helped make this project happen.